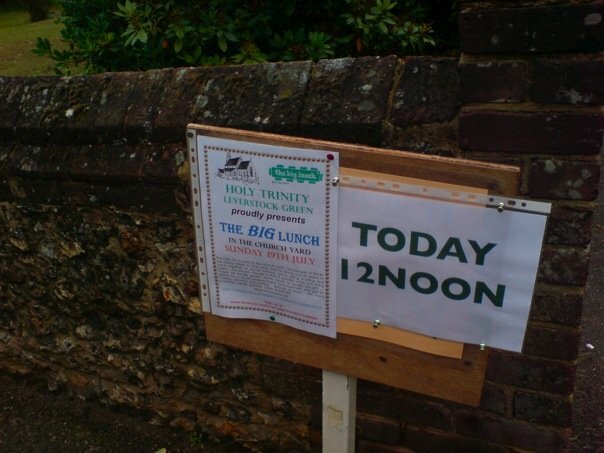 The Big Lunch began life as a wild seed at The Eden Project. We believe the world can get better by working together, with nature, optimism and common sense. We know that when people get together, we become more positive and start to sort out some serious stuff. By simply having some fun on one day in July, we can build new friendships that we can enjoy for the rest of the year. The Big Lunch is a chance for different generations and backgrounds to hear each other out and share stories, skills and interests. It's the start of a journey into rebuilding our communities. We call this phenomenon ‘human warming’. * Two million more single person households by 2019. * More rich, poor and ethnic ghettos than ever before. * 7% annual drop in trust between neighbours from 2003-05. * Social trust in the UK halved and now among the lowest in Europe. So, you might think a street party is the last thing you’d do to tackle crime, domestic violence, homelessness or children in poverty. But as a catalyst facing up to tough issues, it works, as anyone who took part last year knows. When doors open up, people open up and neighbourhoods open up, from sleepy hamlets to hyper estates. 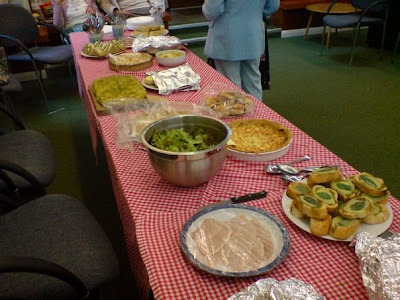 It seems to me that the drive behind the Big Lunch is stuffed full of Kingdom values and the justice of God. ... [T]he Big Lunch aims to bring communities – both rural and urban - together to create a new sense of neighbourhood and make the most of what they have on their own doorstep. 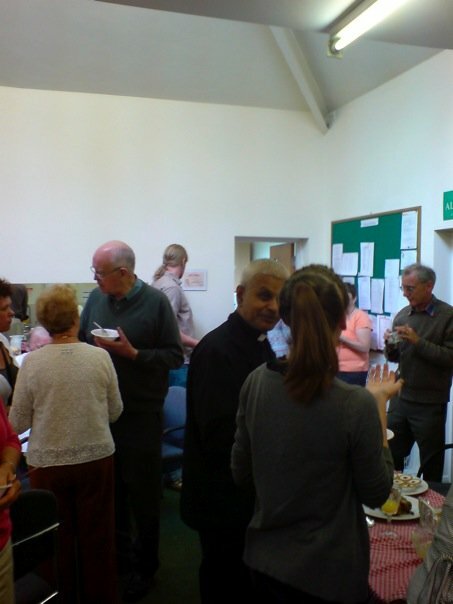 With a Christian presence in every community the Church of England is keen to tap into the event and support community ventures or host their own. 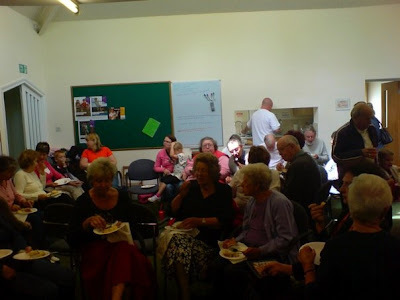 Last year in Leverstock Green we also held a Big Lunch with some 70 people coming to build community, to deepen friendships, to commit to local living and and join the fun.